Thermal bath Besenova is situated 12 km eastern from Ruzomberok on right riverside of river ``Vah``. Here is 6 pools with year-around service. The thermal springs have a temperature up to 61°C. Water in the pool have about 36-40°C. It spring from 1987 m under the surface and have the salutary effects on motion and breathing bodies, uric problems and have a good cosmetic effects. Lithium in the water make a positive psychological influence. Very good is bath in the open pool in winter, when the temperature is below zero point. The centre provides relaxation massage, beach volley-ball, tobogan, comfortable sitting in restaurant, accommodation in apartments in the Hotel Termal. Now the thermal baths in Besenova are very popular and seek for a domestic and foreign visitors. 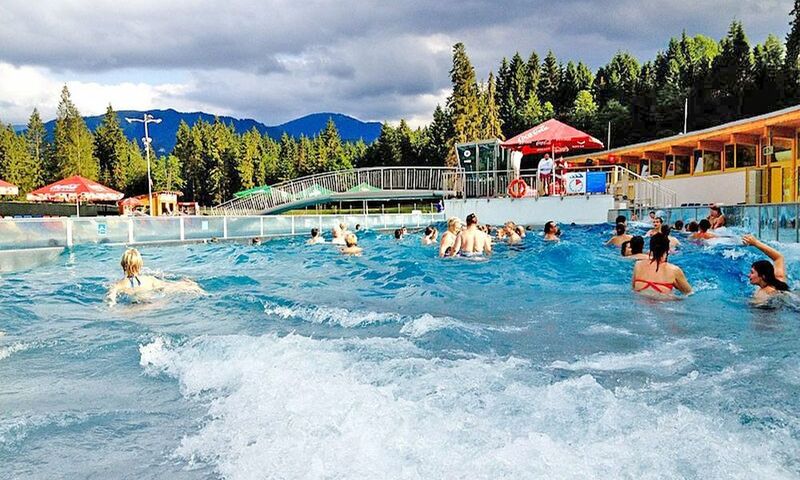 The first year-round Aquapark Tatralandia in Slovakia is situated near the town of Liptovský Mikuláš, at the northern shore of the Liptovská Mara reservoir, within a stone´s throw from the hiking and skiing centre of the Liptov region - Jasná in Low Tatras. 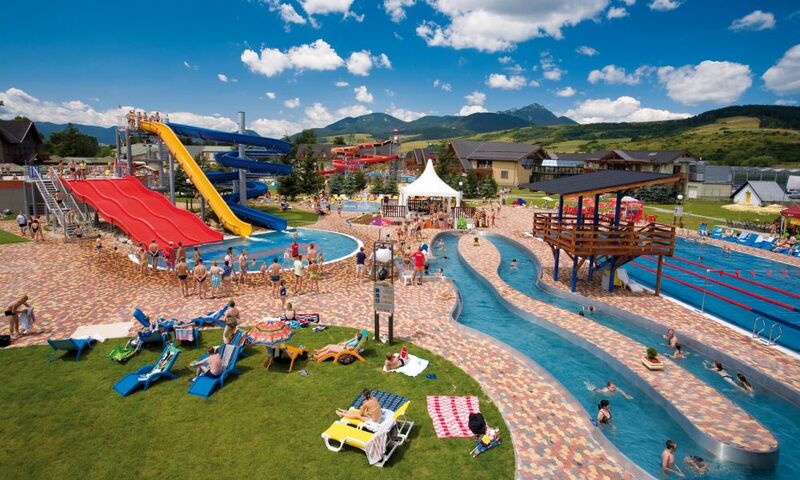 Tatralandia is the largest water paradise in Slovakia, the Czech Republic as well as Poland. Thanks to ist thermal water source, th aquapark can welcome its visitors all year round. The visitors can enjoy thermal pools as well as pools with pure heated water, tube and open slides, young children will love the big children´s playground, the new giant children´s pool Amazonia with a castle, the children´s corner directly in the building, those with more adventurous spirit can enjoy 18 tube slides and open slides, as well as the large sport area. Those longing for rest and regeneration in the first place can enjoy relax in the thermal pools with a selection of water massage types, or a regular massage, and the competition enthusiasts and those keen on organised entertainment can take part in Tatralandia´s animation programmes and music performances. Aquapark Tatralandia is here for everybody. Year after year here relax thousands camper. Here are chance bath, make surfing, yachting, get school of windsurfing, floating by water bicycle, play miniature golf, fishery, sailing by scenic boat Liptov - 80 seating - it everything provides in auto-camp Liptovsky Trnovec on northern shore of Liptovská Mara. In Trnovec is beach, auto-camp of category ``B`` for 140 tents, buffet, kitchenette, accommodation in bungalow, rental sporting facilities, miniature golf, harbour, yacht port, rental boat, water safeguarding service, training centre of diver and the grassy beach. Is considerable recreation centre in summer. Liptovska Mara is dam on the river Váh with execution 198 MW. It was build in years 1969 till 1975. High of dam is 45 m and is a second biggest shoot dike in Slovakia. Dam with balanced reservoir can includes the 365 mil. m3 of water (most on SR). Under water is flood 13 villages. The precious houses are removed to open-air museum. in Pribylina - Gothic-renaissance manor-house from Parizovce, authentic Gothic churches from Liptovska Mara, Sielnica and valuable rustic houses of folk architecture. Only the articular church from Paludza is remove to near the village Lazisko. The biggest attraction for Oravice is geothermal water at a temperature of 57 ° C, descending from a 1606 m deep borehole. 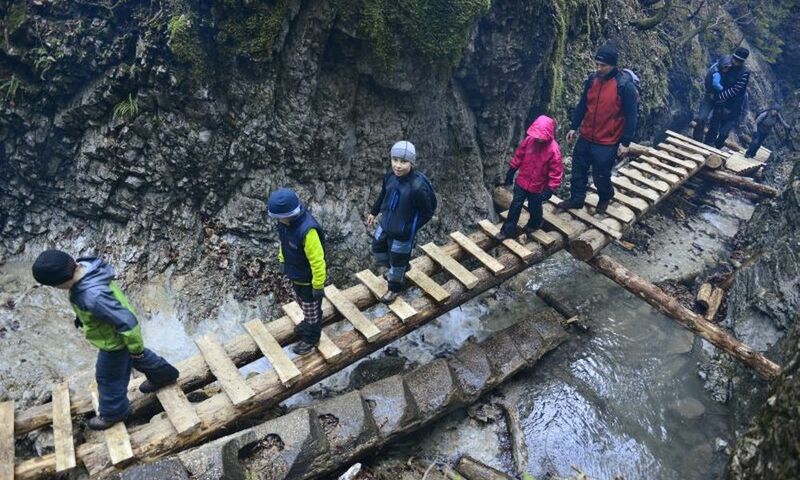 Oravice is connected via Mihulci and Blatna Valley with the Roháčov Mountains and through the Tichú and Chocholovska valley, they connect to the Polish Territory, clinging to one of the most beautiful Polish mountain resorts Zakopane. They lie at an altitude of 780 to 930 meters, with the surrounding heights reaching 1,200 to 1,600 meters. Among them is the Special (1687 m above sea level) and Bobrovec (1863 m above sea level) with a view of the Polish Tatras and the northern part of the High Tatras.